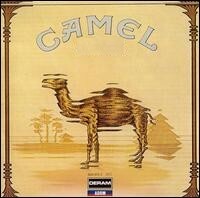 Great early Camel live performance for BBC radio in awesome sound quality! "God of Light Revisited" is arguably one of the best songs they've ever played. Another highlight is the 27min+ version of 'excerpts from the snowgoose'. Source is likely to be from vinyl, a few pops and clicks are audible. 1975: Excerpts from "The Snow Goose"
The tenth anniversary show as broadcast on dutch radio. 'Sasquatch' has a brief drop of signal. From a radio broadcast, so in perfect sound. 'Lady Fantasy' cuts out earlier since it was the end of the radio broadcast. Complete show but some fades in between songs. Indexing on these CD's are a bit off. From the Rajaz tour. This one is sourced from MP3. From the European Farewell Tour. Great show with a fine selection of old and new material.